Ugh, this wedding. This couple. I know, bad idea to start out a blog post with “ugh” but that’s how I’m starting it. It’s too late! I met Stephanie and Tres earlier this year for their engagement shoot that they actually ended up admitting that they were a little nervous for and almost opted out but we had fun and got some really great shots that they will be able to keep forever. Engagement photos, y’all. They’re important!! But we’re not here to talk about their engagement photos, we’re here to talk about their wedding! And what a wedding, seriously. It was an intimate and simple wedding and everything went perfectly. The two exchanged their vows in the Volunteer Park Conservatory at sunset surrounded by their closest friends and family. Tres’s dad was the officiant! And I want to add that he did a lovely job. It was a short and sweet ceremony which allowed us plenty of time to explore the greenhouse and the park itself for all the photos. And you know how I feel about those. 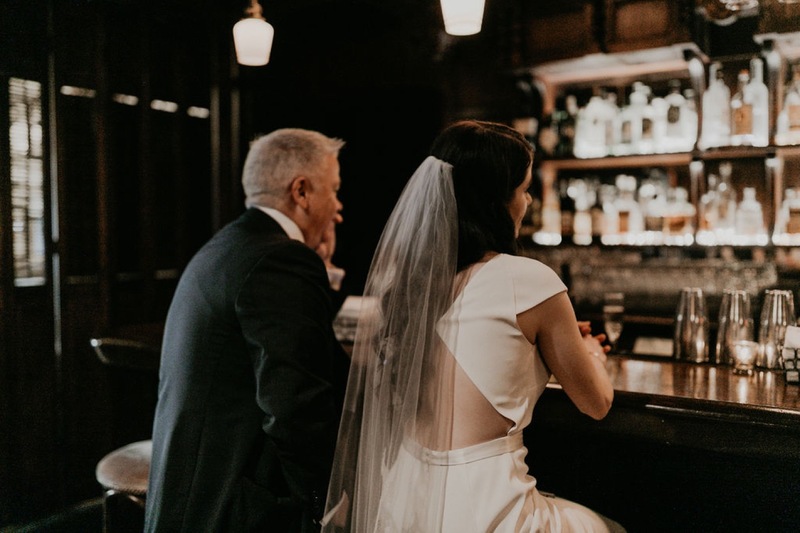 We started out at Hotel Sorrento and grabbed some drinks at the bar because alcohol is the best way to start your big day, then headed over to the conservatory for the ceremony. After the two said “I do” and all the formal portraits were taken, we went over to Ristorante Picolinos for the reception. Delicious food, by the way. 10/10 would recommend. Ok, here we go! Photo time!! Chelsea Moudry is a wedding & elopement photographer in the Pacific Northwest. Conveniently located between Seattle and Portland, she is able to photograph engaged couples in love in both Washington and Oregon.